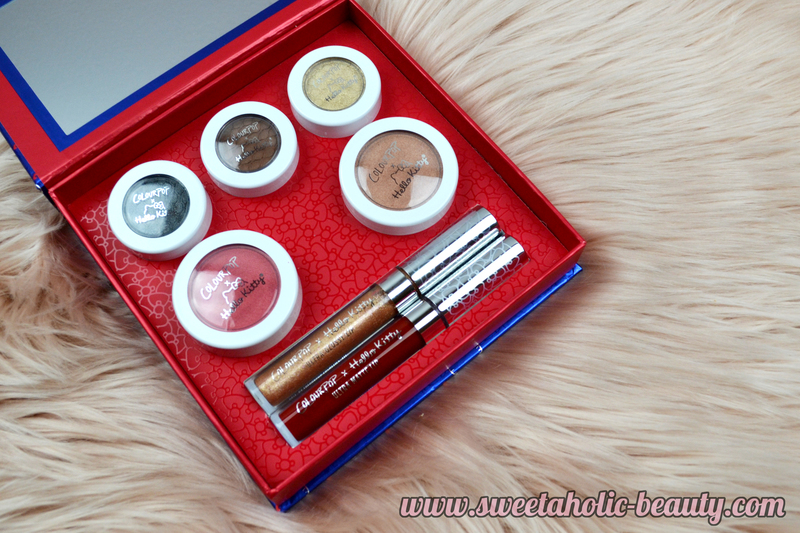 This collection comes with seven products altogether. 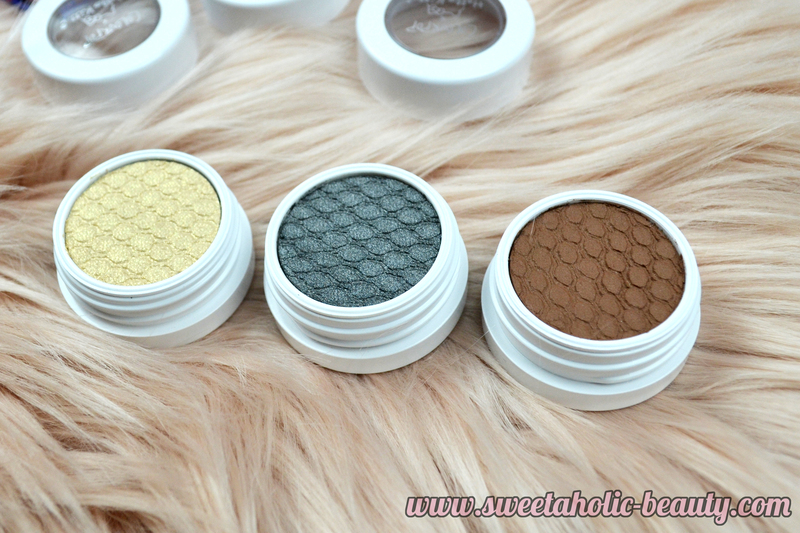 This includes three exclusive eye shadow shades, two exclusive cheek shades and two exclusive lip shades. I was mostly excited by the cheek products as I had yet to discover them. I'm so in love with both cheek shades. 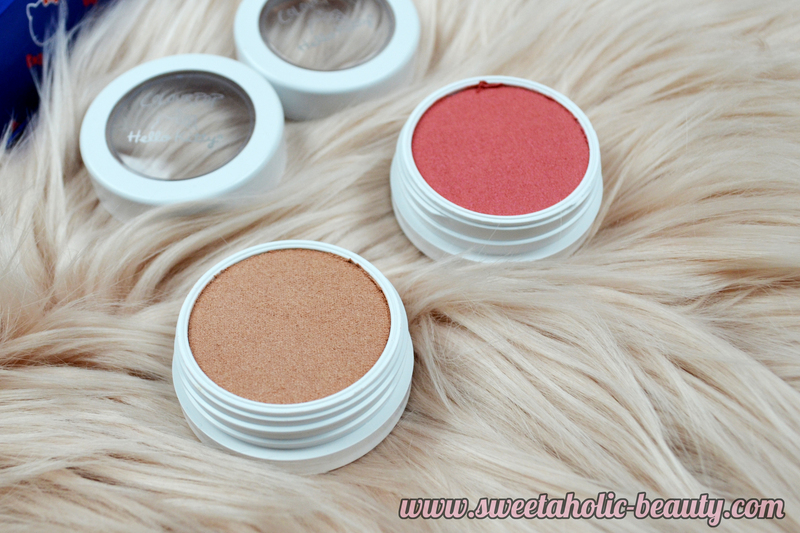 My ultimate favourite has to be the highlighter in Yummy Cookies which is a gorgeous light peach shade. It has a creamy texture which makes for easy application. The blush shade in Fun With Friends is a darling mid-tone pink which I think will suit me pretty well. The eye shadow shades were unique as well; Juicy Apple, Bento Box and Sticker Sheet. The most pigmented shade would have to be Bento Box, a stunning silver shade, with the least pigmented being Juicy Apple which is more of a light gold highlighting shade. Sticker Sheet was a nice warm taupe shade which will be easy to implement. There were two lip products; the Ultra Matte Lip in Ribbon - this shade is the most amazing red. I tried to remove it but had such a difficult time, so I know this will stick. I plan on wearing this for Christmas. The Ultra Glossy Lip in KT is a lovely glitter shade that I think would look cute by itself, but fabulous on top of another shade. 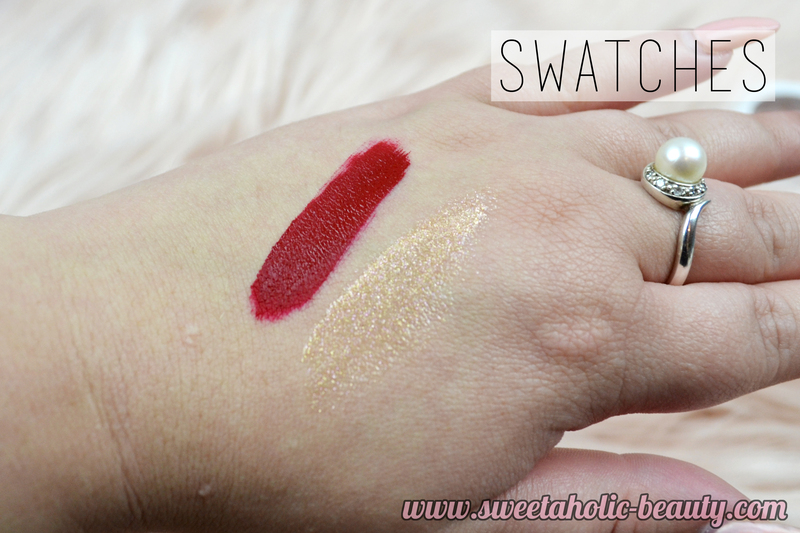 As you can see, the two face products are very pigmented and glide on like a dream. 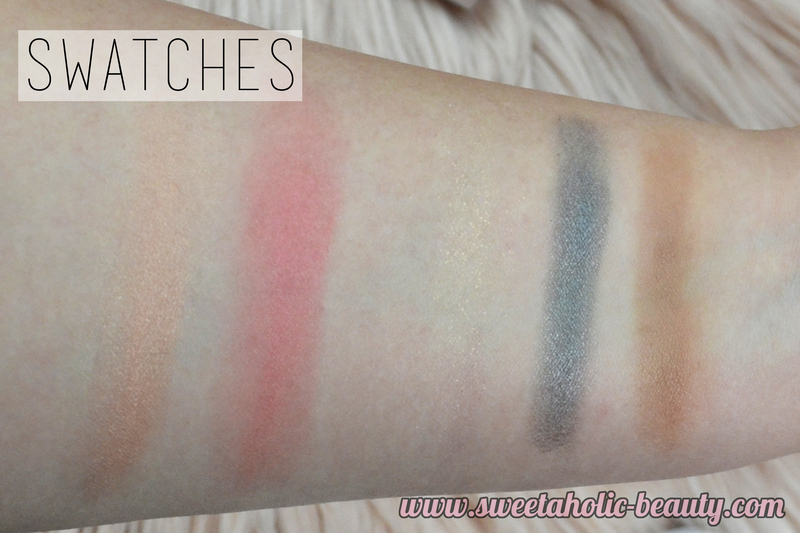 The eye shadow shades are relatively pigmented with the exception of Juicy Apple. Ahhhh how I love that red shade. It's definitely my favourite product out of the entire box. As you can see, KT is a lovely shimmery shade that looks beautiful when it catches the light. Overall, I was pretty happy with this box. At just over $40US this made for the perfect starter collection to try out a bit of everything. I was also lucky enough to score free shipping which made the deal even sweeter. 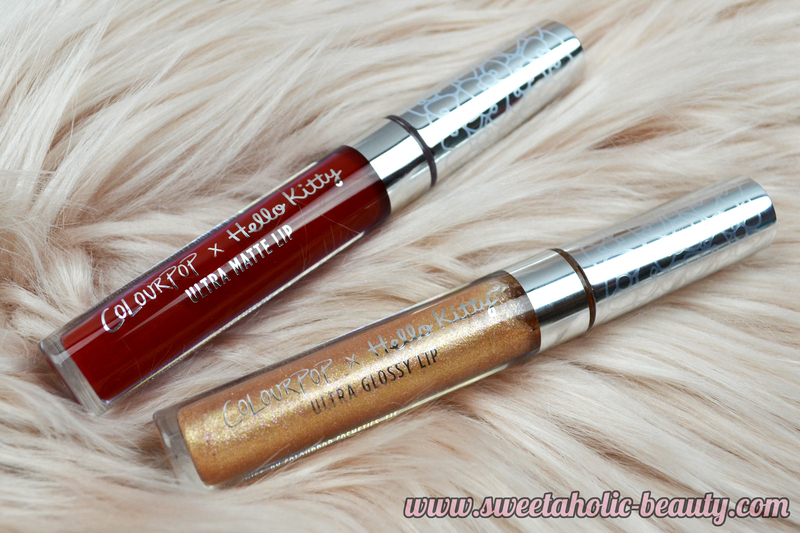 Have you tried anything from the Colourpop x Hello Kitty collection? If so, what are your thoughts? The red lip colour looks amazing! It's a cute collection :) Love the box it's packaged in. Ribbon is such a gorgeous true red! All my reds look pinkish so I'm looking forward to getting Ribbon! Oh, the colours are gorgeous! It's just too bold for me ahahaha! I got the Puroland mini lipstick set from the Hello Kitty collection, and I love every single shade in it!